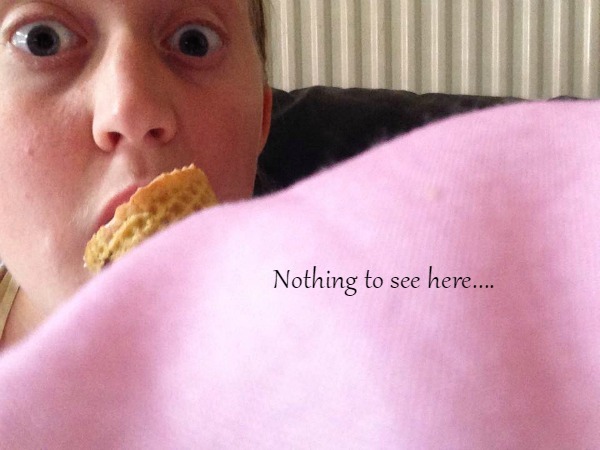 1) Pretending the most delicious items of food in the house have been scoffed by Mr B/ the dog/ a random visitor (delete as appropriate) Sometimes children are vultures. Mine included. If I have any chance of getting something tasty for myself sometimes the only way is to hide the desired item (this isn't always a success) or just out right lie to their cute little faces. 3) Blaming a child for something I did...Oh the shame. I once fancied myself as a bit of a hairdresser (I wanted to save money on a trim) so I trimmed Midges hair. Naturally, not being even slightly gifted in the hair department I loped a bit too much off and it was wonky. To avoid the embarrassment of owning up I blamed the whole 'incident' on my 2 year old scissor wielding son Little A and had Mr B had to take Midge to the hair dressers. She never once said I chopped her lovely locks, even she some how bought that Little A had snipped her hair and she returned a half hour later with a lovely looking bob...I still feel guilty for this one. 5)Using screen based baby sitters. iPhones handed over when little feet keep getting out of bed. Cartoons on TV so I can wash up, or read a book, or drink a hot drink. The laptop with some Netflix chucked on so I can just sit on my arse..and so on. 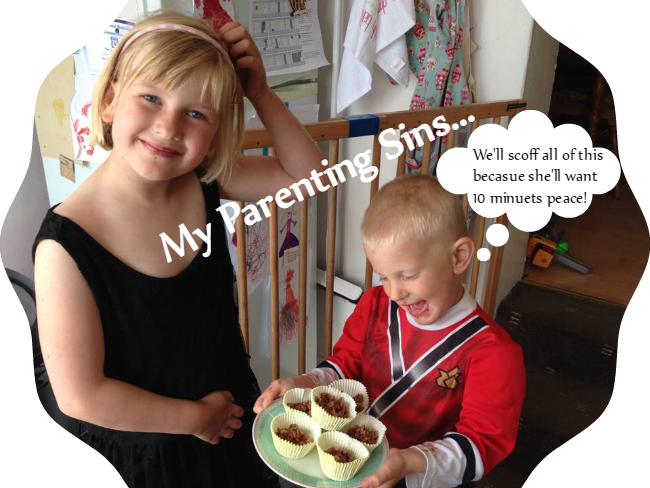 So there you go, a few parenting sins, there's many more I could share but I would like to here your parenting sins. Leave me a comment or even write a blog post to share with me! I think it makes them stronger people haha! hahaha! This is hilarious! I have done most of those things too. Loved reading this post - it certainly made me chuckle!